Museums and galleries perhaps would not be something at the top of the agenda for most of those planning to visit Jakarta, Indonesia. However, one might be surprised to know that there are some good museums in Indonesia’s capital city that are worth the time for a visit whether to learn more about the country, the city or even a specific cultural interest. Some are housed in historic buildings and are beautifully curated according to areas and regions, so much so visitors with vivid imagination might be reminded or even transported across the country to their favourite Bali villa rentals, for example. It’s a given that when one doesn’t plan on visiting museums in the first place, s/he probably would not have allocated the time for such activities but here are my personal recommendations for 3 not-to-be missed museums, which have been selected based on their well curated exhibits and perfect locations so that you can easily squeeze them in into your itinerary if you are planning a trip to Jakarta. After all, visiting museums is a great (and not to forget cheap!) way to learn about a country’s history and culture. 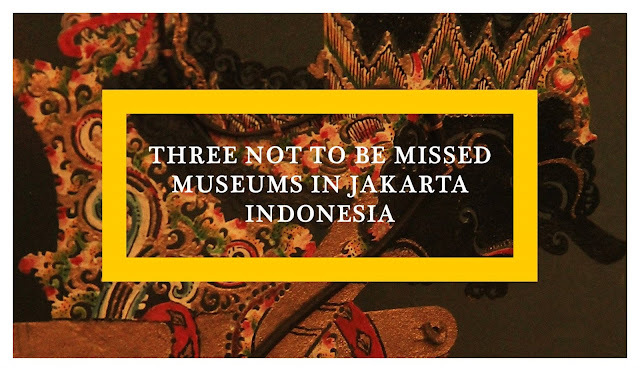 If you’re going to visit just one museum in Jakarta, make sure it’s this one. Often cited as one of the best and finest museums in South East Asia, Museum Nasional (National Museum), or what is more commonly known amongst locals as “Museum Gajah” (Elephant Museum) - thanks to the elephant statue that stands proud at the front of the museum -, has a huge collection of prehistoric and anthropological as well as archaeological artefacts from around the country and region. It also has a sizeable collection of sculptures, ceramics, textiles and paintings. For those who’ve been to Borobudur or Bali and are fascinated by Hindu-Buddhist arts that they have seen there, the Museum is your sanctuary right from the moment you step into the lobby. Sculptures and statues, relics and inscriptions simply overflow from there into the central hall and central atrium. Personally though, I love the section that covers the origin of mankind in Indonesia, which also displays skull & some skeletons of “Flores Man”, a dwarf from between 18,000 to 30,000 years ago, that was found in Flores back in 2003 and is believed to be the link between Homo erectus and Homo sapiens. Mind boggling, if you ask me. The sections on textile and traditional musical instruments are worth a tour as well. They also conduct free tours in French, Japanese and Korean. Located in the main square of Kota Tua (literally Old City) of Jakarta and set in a former Dutch Colonial era city hall stately building that was built in 1710, Museum Sejarah Jakarta (Jakarta History Museum) is an attraction on its own. Kota Tua itself is a must visit for those who would like to see and imagine what’s Jakarta like in the old days. Heritage buildings, architectures and even an old port (Port of Sunda Kelapa) scatter in the small area that is the old city. There are in fact, plenty of things to do in Kota Tua. It’s one of the most charming areas in Jakarta, perfect for a walk down the history lane, and for photography. Take the time and step into Museum Sejarah Jakarta and learn more about the area and Jakarta region, from the prehistoric time to the founding of Jayakarta in 16th century, from the Dutch colonisation era right until Indonesia’s Independence in 1948. It’s got quite a fascinating collection of artefacts and exhibits, and if you’re also into traditional wood carvings and furniture, you’re in for a treat. The Museum has got one of the best collections of Betawi (old Jakarta) style furniture from centuries past. Just a few steps away from Museum Fatahillah above is Museum Wayang, a specialty museum that is dedicated to wayang puppetry. For those who are into arts and culture, the Museum is not to be missed as it offers a nice collection of beautiful and intricately designed flat wooden/leather and non-flat wooden puppets. The former – flat wooden/leather puppets – are known as wayang kulit, used in elaborate shadow play performances not just in Indonesia but also throughout the South East Asia region. The latter, non-flat wooden puppets, are called wayang golek and normally used in puppet shows. The collection at the Museum is not just limited to Indonesia’s puppets but it extends to include those from other countries in the region as well. It makes quite an interesting study to look at similarities and differences that each country has with each other. To better appreciate what this small museum can actually offer, plan your trip here on a Sunday morning when you can watch wayang performances for free. These are the 3 museums that I highly recommend for those who don’t have much time for museums but would still consider visiting one or two. If you still have time to spare whilst in Kota Tua, Museum Seni Rupa dan Keramik (Museum of Fine Arts and Ceramics), located just across the square from Museum Wayang, could be worth considering. And if you still need help with the planning for your Jakarta trip, don’t forget to check my list of Top Things to Do and See in Jakarta. Have you been to Jakarta and any of these museums? What do you think of them? Or do you have any other museums that you’d also recommend? I haven't been to any of the museums you mentioned. But I would love to go to the Museum Wayang. The wayang kulit is an important vehicle of culture, serving as carrier of myth, morality play, and entertainment. Wayang kulit is also important in other countries such as Malaysia, Thailand, Vietnam and China. Visiting museums is a great thing to do when the weather isn't that great or when you're at one place for a longer time. The national museum of Jakarta sounds very interesting, so i'll definitely have it in mind if we'll visit this corner of the earth. Wherever I travel, I always take out time for museums which I believe contains the heritage of the country. Jakarta is not yet in my immediate list of travels, but whenever I plan to go there, I'll make sure to visit the first two as I'm a huge history buff. Depending upon time, I might see the third or give it a pass. Nice and unique post on Jakarta. You are right, museums are great places to learn more about a country and its people. Unfortunately, almost everything I get to read about Indonesia is about the beaches or the food. This blog post is so refreshing, showing me there is much more to Indonesia and that the museums are the places to discover this. The Jakarta History Museum sounds especially interesting. Just to let you know it was Linda de Beer who left this comment. I don't know why my name didn't appear. I was not aware that Indonesia has also nice museums to see. For me whenever Indonesia comes into mind it is Bali and its beautiful beaches. I would love to visit these museums too as I like to see the history and arts of the country. The National Museum looks really impressive, I'd love to visit. Seeing Flores Man must be fascinating. I've only been to Bali not to Jakarta yet. These absolutely sound like great museums. I'm a huge fan of museums while traveling. 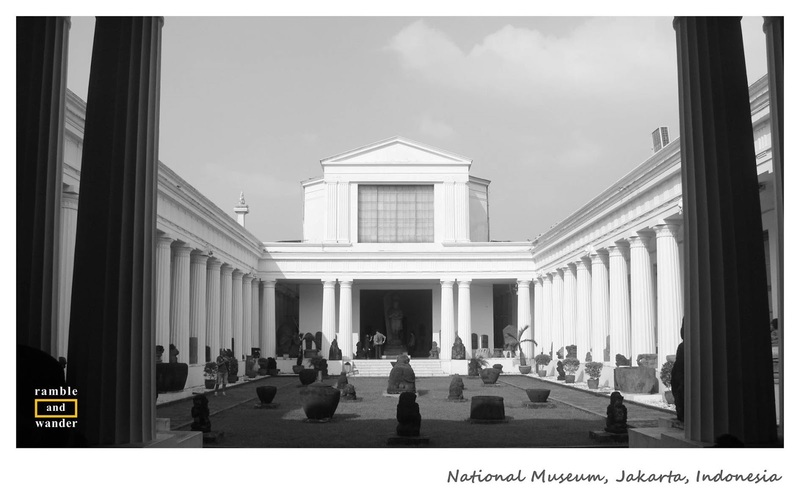 The National Museum and Puppet Museums are high on my list for Jakarta! It looks really amazing! I always find museums interesting! It's a good way to learn the history of a place while having a chill day of walking around it without getting tired! Thanks for sharing an overview of these museums, you're right, a day at the museum wasn't high on my list for Jakarta, but I think they're a great way to really immerse yourself and delve into the culture and history of a new destination, so I would love to jump between each of the three. I never would have thought a puppet museum would be something of interest to me, but Wayang puppetry sounds really fascinating - I love that it extends to cultural puppetry from other countries too - very interesting!